Photo: Cover of the newspaper O Globo with the first photo of a Panará. SOURCE Before its News article below. In the late 1960s and early 1970s, there were still large areas of Brazil that were unexplored. At that time, a tribe of “Indians giants” more than 2 meters tall was discovered living in northern Mato Grosso. They were feared by neighboring tribes. A true legend in the region, which began to be reported by some media outlets. A quick tour of some of the most impressive Nephilim burial mounds and earthworks in the Ohio Valley. Burial mounds, Serpent Mounds, Sacred Landscapes are featured from these Ohio Valley sites. There are another 150 sites to visit in Ohio, Indiana, West Virginia, Kentucky and Michigan. Travel to the sites are free. The Paiutes, a Native-American tribe indigenous to parts of Nevada, Utah and Arizona, told early white settlers about their ancestors’ battles with a ferocious race of white, red-haired giants. According to the Paiutes, the giants were already living in the area. The Paiutes named the giants Si-Te-Cah that literally means “tule-eaters.” The tule is a fibrous water plantthe giants wove into rafts to escape the Paiutes continuous attacks. They used the rafts to navigate across what remained of Lake Lahontan. The (outstanding) lineup for the first Oopa Loopa Cafe show on NewWave & HTN21 is worth planning to see! 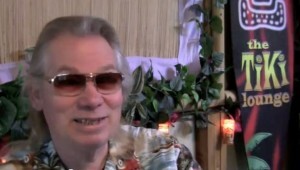 1) Merrell Fankhauser, musician, ace TV talk show host in his own right, and video documentarian. Merrell will showcase his DVD about his Search for the Lost Continent of MU. He and his band, The Impacts, were the first to record the song “Wipe Out!”. Yes, that Wipe Out. 2) Two videos from Temerity Magazine and their intrepid contributors telling us all how to find “Treasure, me hardys!”, even when it’s in your backyard. 3) A short homegrown documentary about giants in general and the site where early settlers found a giant skeleton in Pike County Indiana (an accompanying video will follow on Wednesday December 5th). 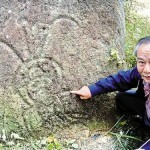 This is part of serial segment called “Hunting History Here!”. This segment picks one particular historical incident or site each week (some will be more than one segment) that includes odd elements and gets to the bottom of the odd story. 4) Announcing the recruitment search for an in-studio co-host for the Oopa Loopa Cafe. 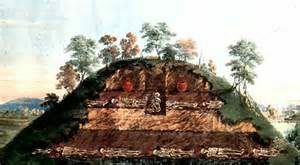 So click on the player in the right column or go to www.htn21.com (if you use the “pop out” player, you can continue to surf the other great content here on the Hollow Earth Insider without interrupting the TV show). Dennis has invited me to provide a bit of commentary on this particular story because he knows I continue to express profound doubt in the top level integrity of the Smithsonian Institution. The Smithsonian is unique in several respects. It is considered by Federal law to be a private institution, yet when it goes to collect specimens it claims it carries the weight of law, in some cases, to force collection. 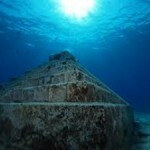 Evidence of an advanced civilization buried beneath the sea that could be more than 10,000 years old.